How to Pay your Property Taxes in Bansko | Imoti Bansko Ltd.
1.According to the Bulgarian Law regarding Local Taxes and Fees, every owner of newly acquired property is obliged to file a tax return declaration for the taxation year property ta to the municipality within a 2 -month period. 3.If the payment of the property tax for the current year is made prior to April 30th, there is a discount of 5% of the total amount. 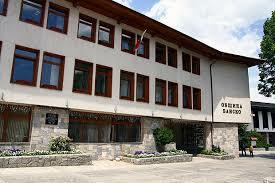 NEW: Online payment via Virtual POS terminal located on the site of the Municipality of Bansko www.bansko.bg/local taxes. This will save you time and bank commissions. 6. In case of non-payment of tax liabilities, an enforced collection will be proceed, operated by a public collector under the provisions of the Tax Procedure Code.